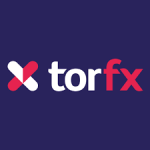 TorFX is a leading provider of foreign exchange services, offering very competitive currency exchange rates for international money transfers and an unrivalled personal service to private individuals and companies with a foreign currency exchange requirement. TorFX is based in the United Kingdom and Australia. The below live Foreign Transfer comparison table shows how much you could save on your next foreign transfer by using a broker such as TorFX rather than your bank. Note the margins are compared to the current mid-rate. You can change the currencies and send or receive amount with our full Foreign Transfer calculator. Ever felt foreign exchange was a tricky subject to get your head around? We provide some quick and easy options to help you through the process of exchanging currency here. Do your own research by visiting comparison websites like this one and read the guides that can help you determine the type of transaction, understand the variations in fees and rates, and help you to reach a conclusion as to which organisation best suits your particular case and ultimately, who should you contact to execute the exchange with – be it your bank or an fx specialist. Engage an established foreign exchange specialist to help you with your requirements. Customers are often much happier and more confident with this option, as not only are rates and fees generally superior to that of the familiar big banks, but there is more focus on client service and satisfaction. TorFX is an example of an FX specialist organisation which is fast emerging as a serious competitor to mainstream banks for foreign exchange related services. So what makes TorFX such a safe and proven name for foreign exchange requirements? Here is all you need to know about them. TorFX – Who are they and how do they save you money? The TorFX Australia team are based in Queensland and provide a great dedicated service and competitive exchange rates both when trading online and over the telephone. The TorFX UK team are based in London and Penzance and process in excess of 3 billion Pounds in foreign exchange and international payments per annum. They are known for both the quality of their customer service and exchange rates. Contact TorFX and inform them you visited Best Exchange Rates and they will offer you very competitive, if not the ‘Best Exchange Rates’, when making an international money transfer or payment overseas for both individuals and businesses. TorFX will also focus on value for the money being transacted. Their exchange rate guarantee is a mark of their confidence in the best rates they procure for customers. For identical deals, any exchange rate quote you receive from a competitor, if shared to TorFX by an email within 5 minutes, will be bettered. With 60 of the top international currencies, TorFX covers them all. Rather than having to run to multiple providers, the sheer gamut handled by them gives you the peace of mind of dealing with a single provider. The knowledge that your money transfer will happen in a stipulated time can be reassuring. With transfer timelines that fall between 1 to 2 days for most of the major currencies, there is no room for any worry about delayed receipts. TorFX does not charge fees for any transfers you do above $250. That itself translates to extremely cost effective transactions when the exchange rates themselves are so competitive. When dealing in transfers greater than $100K, you will benefit from margins that go down by as much as 0.7%. TorFX is authorised and regulated by ASIC. This means that TorFX complies with all legal obligations to operate in a fair and orderly manner. In other words, when you use TorFX to handle your foreign currency transfers, you can relax in the knowledge that your money is safe and totally secure. Everybody deserves transparency, fairness and better value when it comes to their money. When transferring funds between accounts in foreign countries, it’s important to have visibility on both sides of the transaction. TorFX is a foreign exchange service you can trust; it has maximum transparency – whether you are at the sending or receiving end of a money transfer. TorFX sends market updates including major currency movements, news and economic data on a regular basis. This service is free and has no obligation. TorFX ’s approach to customer service is what sets it apart from its competitors. Over and above the competitive pricing and the value for your money, it is the uncompromising service levels that make them stand apart. Right from the initial query through each step of the transaction, TorFX ’s account managers get involved in understanding each customer requirement and executing it all to its completion. Every case is different and treated as such. In the complex world of foreign exchange, handholding a customer and their transactions are of utmost importance. Treating every transfer as a relationship extends beyond getting the best exchange rate. Ensuring the transfer is done smoothly and satisfactorily, and effected in the set timeline and the client feedback taken have been standard steps in a TorFX relationship. With TorFX , there is no need to worry about how you are going to move money between foreign bank accounts. Each transaction is quick and easy and the process is simple and swift. TorFX accepts currency exchange instructions online or by telephone. TorFX clearly explains the process and provides a dedicated service representative to assist you with every step of the process. With the above advantages, TorFX also extends to you another one – a free quote to get you started. All you need to do is to specify your requirement and the prompt response is enough to get your foreign exchange transaction on the way. Dedicated account managers take the time to understand your requirements, keep an eye on the markets for you and offer guidance to ensure a quick and seamless transfer. Modus operandi – how does the transfer process work? Opening an account is free and can be done by completing an online application form. For safety, TorFX will call you to verify your identity. When you need to do a transfer, a sales representative will inform you about the current exchange rates and receive your order confirmation. Then you’ll and be asked to give details of the currency, amount and beneficiary account before sending your funds to your TorFX client account. After the funds have cleared, your foreign currency with the best exchange rate is immediately sent to your beneficiary account. TorFX notifies you when the funds have been received into the destination account. With offices in Australia, UK, Europe, USA and South Africa, TorFX offers a wide selection of trading platforms, with different options available for business and personal trading. With a background as Australia’s leading foreign exchange services expert, TorFX has a track record of having worked extensively with both corporates and individuals alike. 1. TorFX will call you to verify your identity and set up your online account, you can then monitor the rate in real-time. 2. When you are ready to do your transfer you simply login into the TorFX website and enter the details (Currency, Amount & Beneficiary Account) and then transfer the FROM amount to the TorFX bank account. 3. TorFX then send the money to the beneficiary foreign currency account at much better rates than you would get using your own bank. 4. TorFX notifies you when the funds have been received into the destination account. TorFX does not send cash or allow cash to be paid into its account. Using cash will result in the payment being stopped and the return of funds involves a lengthy process that includes a formal identification process. TorFX does not accept cheques under any circumstances, for any currencies. TorFX deals with more than 60 global currencies with very competitive rate margins and generally offers the best or close to the best exchange rates in the market. If you register with TorFX using the this promo coupon link for you region your account will be allocated to the lowest FX margin group. TorFX do not charge Transfer Fees. TorFX has one fees when using their online platform where you can send as little as £100 on a fee-free basis. Occasionally, third-party banks may deduct a fee from your transfer before paying your recipient. This fee may vary and TorFX receives no portion of it. If you’re concerned, simply talk to one of the TorFX team members to discuss your transfer as you may need to send extra to account for any possible bank imposed fees. Browse our customer reviews and ratings for TorFX, you can also use our TrustPilot rating browser for TorFX. Thanks to Katy Lord for her help & patience & for guiding me through the process when I sent money to the U.K. I received an excellent exchange rate at the time, & funds were received promptly. I recommend her services and Torfx anytime. Having used TorFX for many years, I can say with all honesty that every transaction completed, generally by David Caldaralo, has been done promptly and hassle free. Thoroughly recommend the service as a whole, and David in particular, he is a great asset to the Company. Just completed registration to the site to exchange £ to $ and the rate I was told over the phone and what is currently displayed on this site is higher than what I’m no offered as a registered customer. Staff are friendly and service is easy enough to use. Hi Alex, thanks for your review for TorFX, we spoke to the broker about your rates and it seems you didn’t click through from BestExchangeRates…perhaps you saw them on here and then googled them separately? In any case Tor have put you onto their top tier rates which normally is only for customers clicking through or being referred from us. This is an example of why you should always use our buttons/links to click through to our providers and also make sure you mention that you discovered them on BER when you speak to them as we have negotiated preferential rates for our customers with our BER Partner brokers. I want to send a substantial amount from Malaysia to ANZ Bank Australia for purchase of a house. Please advise process and actual rates charged. I want to send large amount of money to US. Please advise. I discovered TorFX on this website and was first attracted because they were stated as having the best exchange rate, after making enquiries this turned out to be true, it has made such a difference on our transfers from Australia to England and the USA. Made the whole process very understanding and provided up to date information to me regularly. We transferred a large amount of money to NZ and had never used a company like this so it was all new to us and I admit we had our doubts at first. Their service (our guy was called Mike Brown), exchange rates and knowledge were untouchable against the other 2 companies we spoke too. I found TorFX from this website after making enquiries to a couple of providers through this website, I choose to use them to transact a reasonable amount of money. The service was good, but I got stung right at the transaction end when the figure they ended up quoting was actually more like 1.5% fees, rather than the .7% to .8% that they advertise. A tough lesson to learn especially on larger sums, maybe not such a big issue on smaller amounts. This rate effectively ranks TorFX down with the best banks, not second as shown on the website. Great comparison website that made me a great saving. Thank you for introducing me to TorFX, I will certainly be using them again. This is a very useful website which lead me to use the services of TORFX, so thankyou. Fantastic service and TORFX saved me just over $1K on my transfer. Have recommended to friends. TorFX made the whole process a breeze. I’m glad they didn’t force me on to a platform to do the transfer. I enjoyed the security of talking to a real person and also getting a great rate straight from the dealing desk. The registration form took me a couple of minutes and the whole process was very comfortable and easy. I recommend TorFX to anyone that hates the confusion of platforms and is looking to get the best customer service and rates in the industry. Very quick payment, managed to set my account up online within minutes and my trader Josie was excellent with good market knowledge and top quality customer service. Will certainly use TorFX again. Very efficient, helpful and professional service. Funds transferred expediently and at a very good rate. Will certainly be using Torfx to exchange funds for buying our house in the Algarve. Highly recommended. We use Torfx on a regular basis. We get a great rate and excellent customer service. We’ve tried other brokers in the past but find that none come anywhere close to Torfx, especially in terms of their friendly, efficient and helpful staff. Would highly recommend. I didn’t realise how much I needed this service until I spoke one of the Torfx consultants, they assisted me when I was working in the States for a year with regular transfers back to London, they are competitive, reliable and have Knowledgeable employees. Good rates, better than others I tried. Service very good and funds arrived quickly. What more can I say!? I found TorFX to be incredibly friendly and efficient as well as offering the best rates I could find. The fact that they got my money into my french account the same day is the icing on the cake! My experiance with TorFX has been fantastic. I found their rates very competitive and my trader David gave me information on how the rates could benefit me. I’d recommend them to anyone. I tried to use them based on a recommendation and had a terrible experience. They are nice people but seem to have no experience in dealing with Middle East. I had to get AED (UAE currency) to their UK account. They didn’t provide all the information the largest Bank in Middle East required, resulting in delays. After the delays they had contributed towards, their risk department cancelled a trade without telling the relationship manager or us! They then tried to charge us £4,000 for their loss because they cancelled the trade at a time when market was not good! Ironically they cancelled the trade the day the money was confirmed to have been sent to them. The sceptic would think they didn’t tell the client until they were sure they had their money so they can deduct what ever they want! They also seem very worried about risk relative to larger players such as Travelex who we have used with great experience. Would not recommend them.